Thomas Lendvai - It won't give me its name. It won't give me its name. 3/16" elastic cord and copper sleeves. 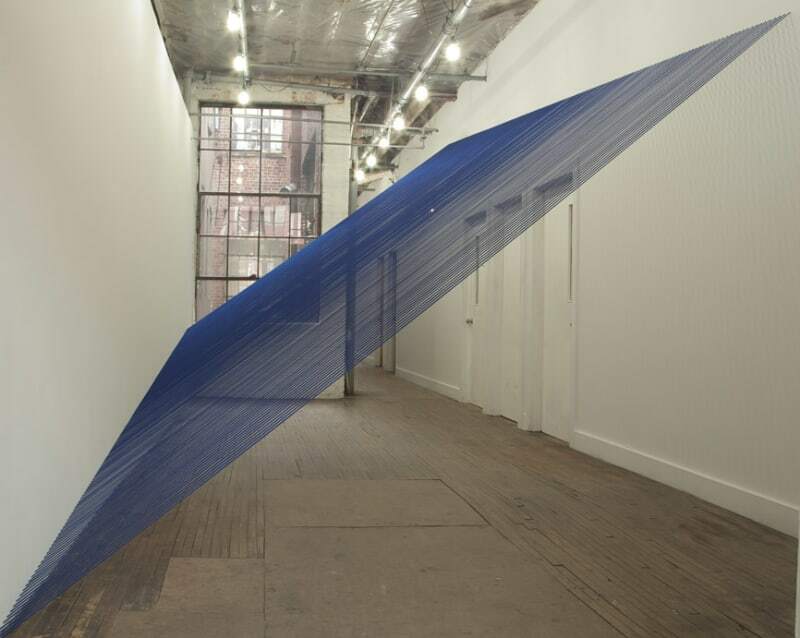 Elastic cord is tightly tethered to opposing walls, creating a parallelogram that diagonally bisects the gallery.